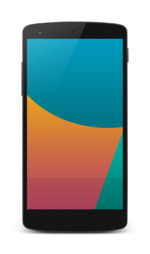 The Nexus 5 (hammerhead) is the fifth Nexus phone manufactured by LG in cooperation with Google. Please note that you need to have CyanogenMod 12.1 (https://www.androidfilehost.com/?fid=457095661767137275) ! When your download has finished, see How to install LuneOS on the Nexus 5. See How to Build LuneOS for the Nexus 5 . You may find assistance with the Nexus 5 on our IRC Channel on the Freenode Network. #webos-ports. This wiki has a "master" device template for adjusting settings pertaining specifically to the Nexus 5 (learn more). To change these master settings, edit the wiki device template at Template:device_Hammerhead. This page was last edited on 23 January 2017, at 13:02.